Not only is October a month of pumpkins, and monsters, but it's also a month of….pasta? Yup, October is National Pasta Month. So after you put up those fall decorations, and before you put the finishing touches on those Halloween costumes, make sure you take time to enjoy an American made pasta meal …with made in the USA pasta accessories, of course. 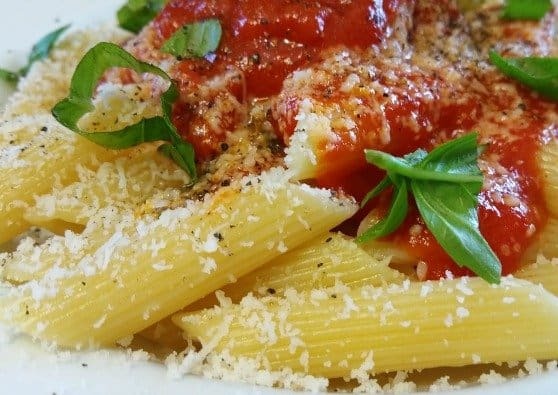 Turn plain pasta into a gourmet meal quickly and easily with any of Dave's Gourmet's award winning pasta sauces! 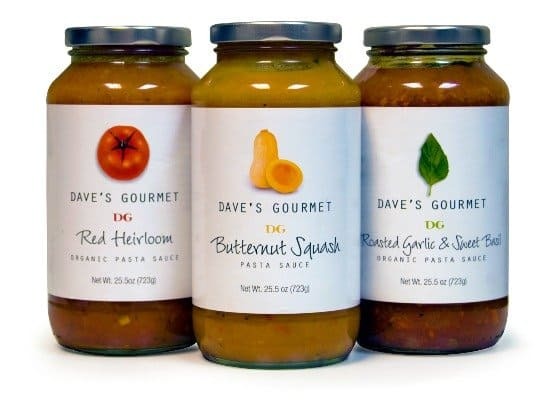 Made from all natural ingredients and available in organic varieties, Dave's Gourmet Pasta Sauces are gluten free, GMO free and vegan. Three Bridges fresh, handcrafted 100% natural pastas are available in organic and gluten free varieties. You can find these flavorful, restaurant quality pastas in the refrigerator section of select Target stores. Even my picky kiddo loved the Butternut Squash Ravioli! 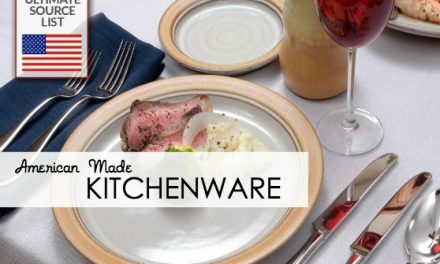 Since 1936, the Homer Laughlin China Company has been manufacturing Fiesta Dinnerware in the USA. The Fiesta Individual Pasta Bowl is available in 10 colors at Macy's. Made in Pennsylvania from wild cherry wood, Jonathan's Spoons Spaghetti Fork is specially designed to reach deep into a pot of boiling water. Not only does this unique looking fork prevent pasta from sticking to the bottom of the pan, but it also makes a snazzy pasta server. Need an excuse to wear pasta themed jewelry? 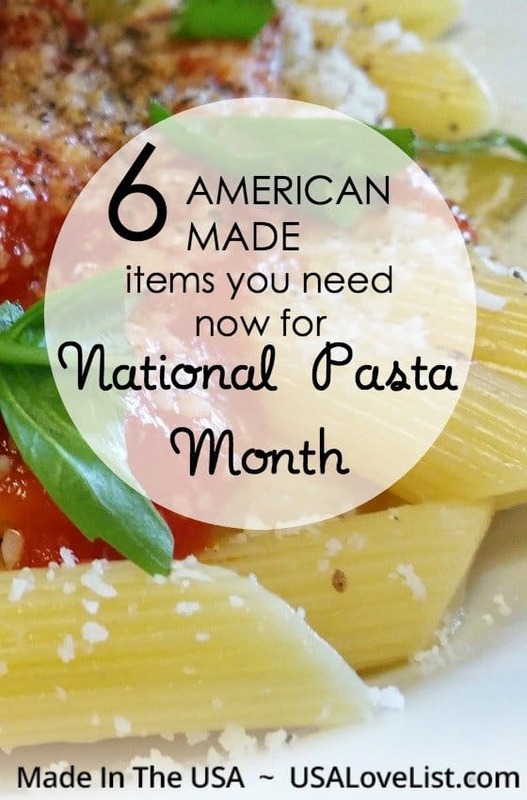 Well National Pasta Month gives you one! Orange HOWELL o.h. Macaroni gold and silver plated pasta jewelry is handcrafted in New England. Made in Portland, Oregon by Nell & Mary from organic cotton, this handcrafted pasta themed tea towel is the perfect National Pasta Month kitchen accent. 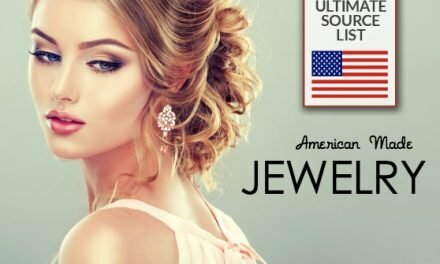 Disclosure: This post is sponsored, which USA Love List is proud to share with you because, sponsored or not, we only share stuff we love. Follow USA Love List's board Foodie Love on Pinterest. Tracey Hanson is the USA Love List Green/Family Living Editor. 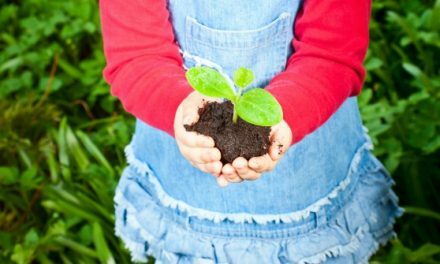 Follow her on Twitter and Pinterest - @amothersearth. I have tried Dave’s pasta sauce and love the flavor. Am interested in trying the pasta. I will keep and eye out for it next time I am in target. Wow! This is really nice information to learn about. I love eating pasta. I love that Spaghetti fork! 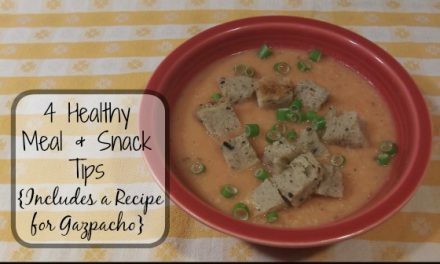 DAVE’S GOURMET PASTA SAUCE seems absolutely wonderful to try! The flavors would be so tasty! The spaghetti fork is hilarious. Love it! Butternut squash is my favorite. I bet it would be amazing as a pasta sauce. Yummmm.